Shiraz was one of the most important cities in the medieval Islamic world and was the Iranian capital during the Zand dynasty (1747-79), when many of its most beautiful buildings were built or restored. Through its many artists and scholars, Shiraz has been synonymous with learning, nightingales, poetry, roses and also wine! Today Shiraz is a relaxed, cultivated city, with wide tree-lined avenues and abundant monuments, gardens and mosques to keep most visitors happy for several days. The university here is one of Iran’s finest, and you’ll come across lots of students eager to speak English. Highlights include the restful mausoleum and garden of Hafez , a celebrated poet; the Aliebnehamze mausoleum, an important Shiite place of pilgrimage which attracts hordes of supplicants; the Pars Museum , which contains Zand dynasty relics; and the delightful Eram garden, where the 19th century Ghajar palace lies alongside a pretty pool. There are plenty of hotels to suit all budgets and tastes in Shiraz, most of them clustered near Zand, the main boulevard. This is also the area to nose out a good feed, from inexpensive kebabs and burgers to more swanky sit-down affairs. Shiraz is nearly 900km (560mi) south of Tehran. 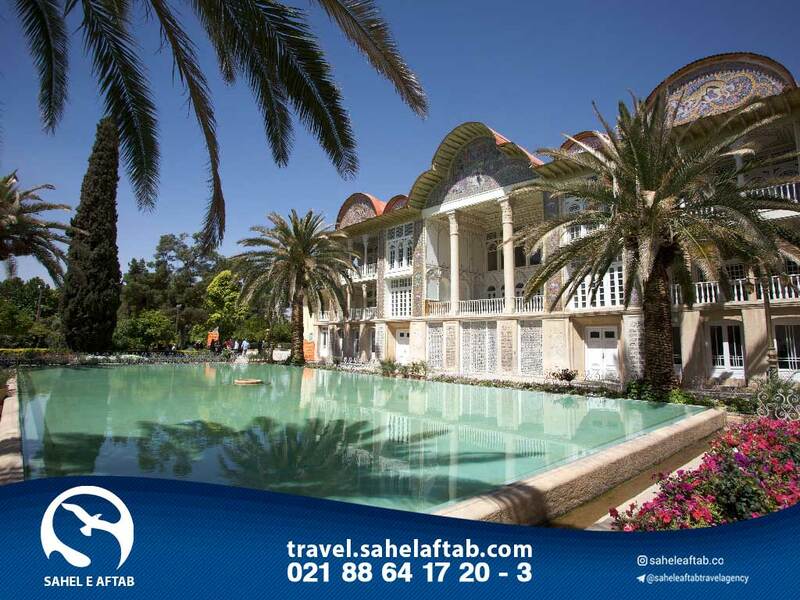 It’s a great place to start or finish your trip to Iran and is well serviced by international and domestic flights. The airport lies 8km (5mi) south-east of the city centre. Buses run from Shiraz to Tehran and other major towns; shared taxis run occasionally to Isfahan. One of the great cities of Iran and its magnificent metropolis and the capital of Fars province. The population of Shiraz in 1395 was 1, 565, 572. Shiraz is the 32nd most populous city in the world and the 20th most populous city in the West Asia . The metropolis of Shiraz is also the 20th largest populated metropolis in the Middle East. Shiraz is located in the central part of Fars province, at height of 1,486 meters above sea level and in the Zagros Mountains, with moderate climate. The municipality of Shiraz is divided into 11 independent urban areas and covers a total area of 240 square kilometers. It was the capital of Iran during the Safari, Boyan and Zandian era years. Shiraz has been considered as one of the most important tourist and tourist centers in Iran, and is known for its many historical attractions for domestic and foreign tourists. According to the history of Iran, the Cambridge University Press, “permanent residence in the city of Shiraz may reach the Sassanid era and even before it. But the first authentic references to this city dates back to the early Islamic era. According to the Islamic Encyclopedia, Shiraz is a city built in the Islamic . Shiraz is famous for poetry in Iran. Among the poets of the famous lady of Iran can be referred to the Shahmolk Khatun, who lived in Shiraz. Shiraz is famous for the city of poetry, wine, garden and flower bulbs. The garden has a special place in Iranian culture, and Shiraz has long been famous for its beautiful gardens. Shiraz has had many grapevines since ancient times, and this is the reason why the world renowned Shiraz wine has become famous.